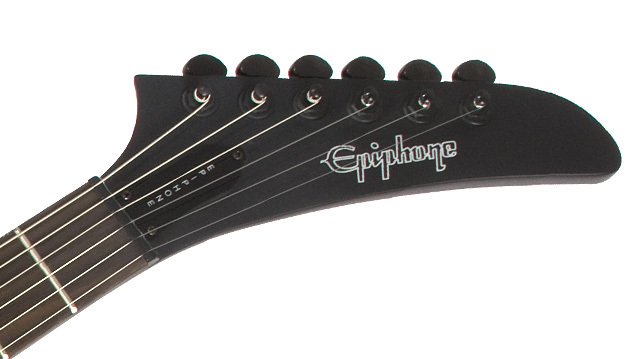 Is the Epiphone Goth 58 Explorer the ultimate metal guitar? 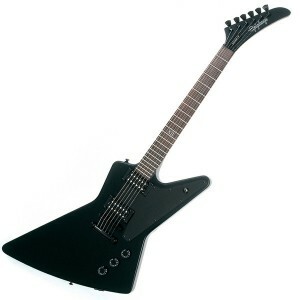 Looking for the ultimate metal guitar then the Epiphone Goth 58 Explorer could well be the guitar for you. The Gibson Explorer was released in 1958 after Gibson started experimenting with slightly more futuristic body designs. The Flying V and the Explorer were the two main guitar designs that Gibson launched in the same year. The initial reaction to the Explorer was not overly positive and the guitar did not sell well. Eventually Gibson discontinued the production of the Explorer in 1963. Perhaps a good example of a design being way ahead of its time. However, in 1976 popular taste caught up with Gibson and they re-launched the Explorer after other guitar companies had success selling similar designs. The desire for more extravagant guitar designs was driven by the popularity of hard rock and metal guitarists looking for something a little bit more aggressive than the normal guitar body shapes. Epiphone, part of The Gibson Guitar Corporation, give you everything that you would expect from a Gibson at a great price. So if you have a tight budget and want the Gibson experience Epiphone guitars are a great option. The Epiphone Goth 58 Explorer provides a new twist on the classic Explorer. This guitar is designed for the metal guitarist looking for something a little bit extra. 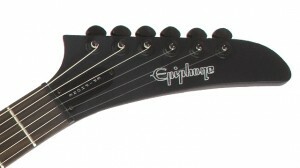 The headstock gives the Epiphone Goth 58 Explorer a more contemporary look which suits the guitar. The first thing to appreciate about the Epiphone Goth 58 Explorer is the dark look of the guitar. This instrument is black!!! From the pitch black paint job to the dark rosewood fingerboard the Epiphone Goth 58 Explorer is going to appeal to a certain breed of guitarist. If you play loud and fast then this is going to be your kind of guitar. The Epiphone Goth 58 Explorer is cut from mahogany giving it a solid weight and feel. You certainly know that you have a guitar round your neck when you strap the Goth on. The neck is mahogany, has a rosewood fretboard with 22 frets and is cut with a modern slim taper D-profile neck which is comfortable and easy to play. The body design allows easy access to the upper frets so if you are a bit of a fret shredder this guitar offers lots of potential. 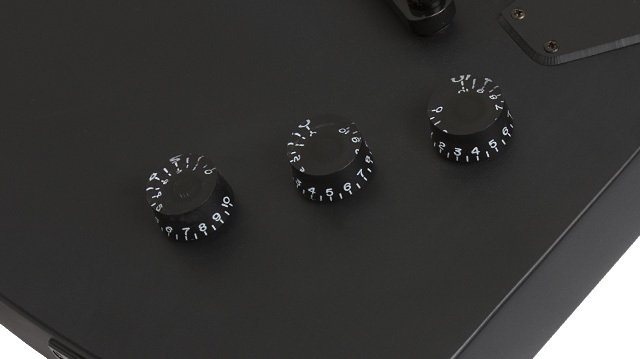 Master tone and individual volume controls for each humbucker produces a great tonal output. The electrics come in the form of Alnico Classic Humbuckers in the neck and bridge position. Combined with volume controls for each humbucker and a master tone control the guitar has a great sound whether played with a clean tone or heavily distorted. I would say however that although this guitar is at home with whatever sound you want to squeeze out of it, it really does come to life when you turn the volume up and stamp on the distortion pedal. This is a great sounding metal guitar! The bridge is a Locktone Tune-o-matic with a stopbar tailpiece for a totally stable playing experience which you just can’t beat. To sum up this is a great looking guitar with its dark looks and sharp body design. The sound of the guitar is fantastic whatever sound you are looking for but is perhaps, with the looks, more suited to the heavy rock/metal guitarist. So if you are after the ultimate metal guitar then we think the Epiphone Goth 58 Explorer ticks all the boxes. Great price, great looks, great playability and great sound. What more could you want? Controls Separate volume controls for each pick-up and master tone control. Yamaha ERG121 – More than just a beginners guitar?